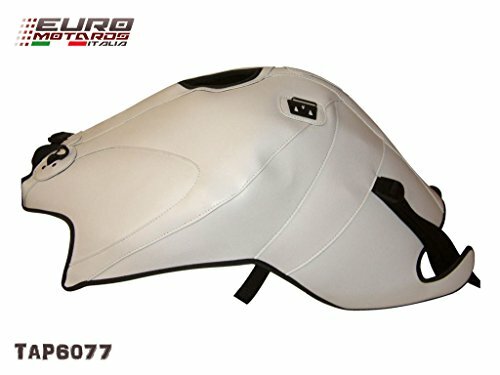 Tank cover made of fine quality synthetic leather. With a layer of foam on the inner side to protect the paint of the tank. With straps to tightly secure the cover to the tank. Not only give your bike a beautiful new look with a warm feel, but also protect your tank's paint and cover old dents and scratches. Keep your gasoline cool (=Horsepower) on hot days! Tailor made to order in Top Sellerie's French design salon. If you have any questions about this product by Top Sellerie, contact us by completing and submitting the form below. If you are looking for a specif part number, please include it with your message.